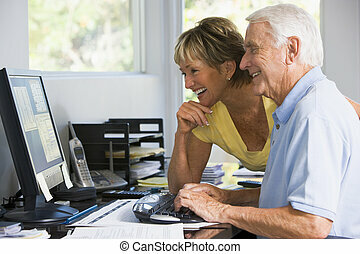 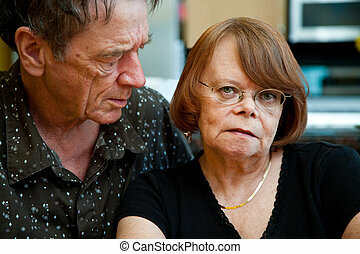 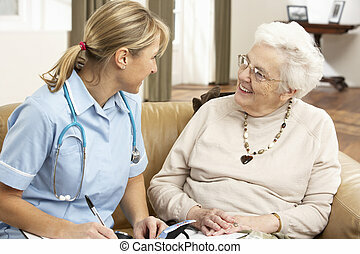 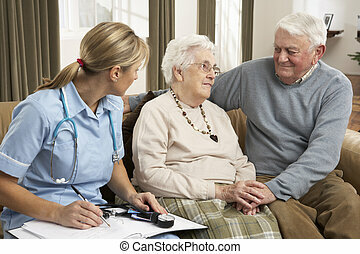 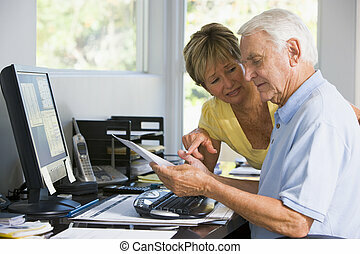 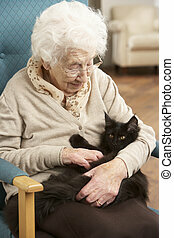 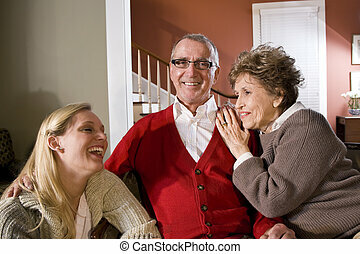 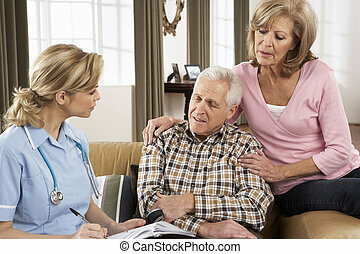 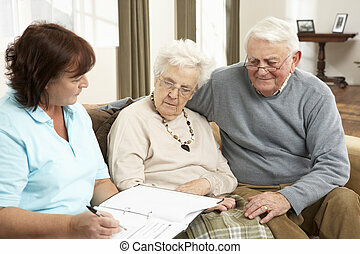 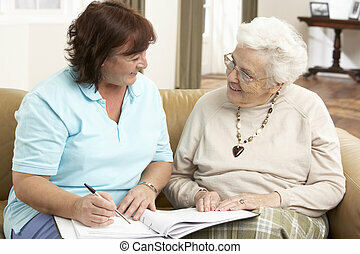 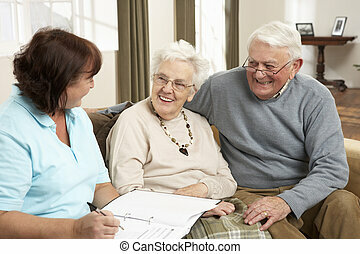 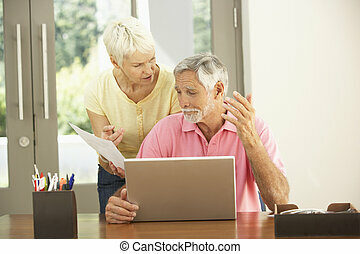 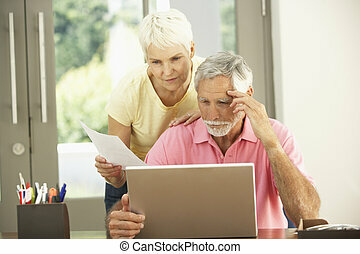 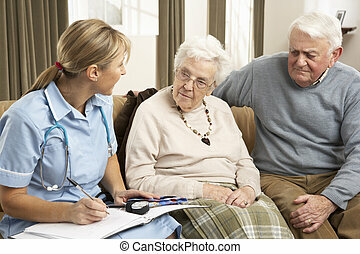 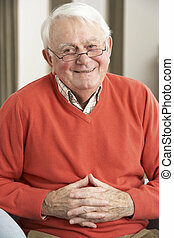 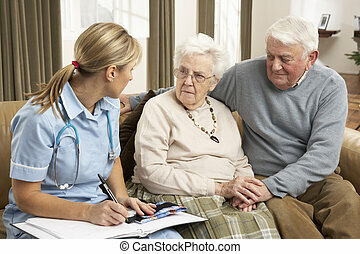 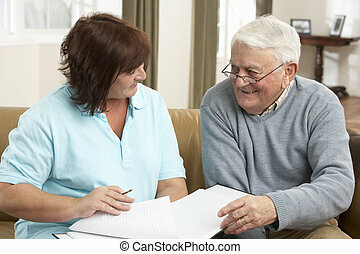 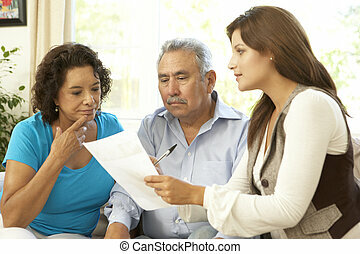 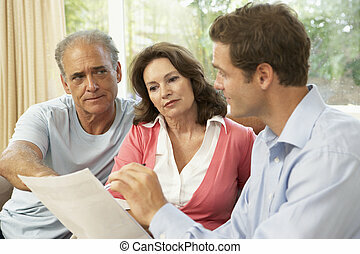 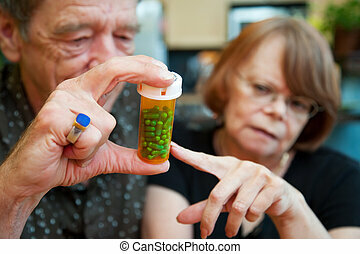 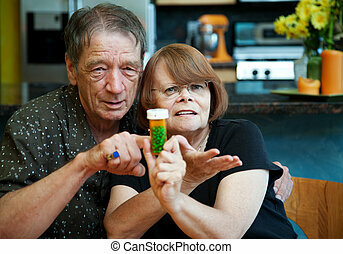 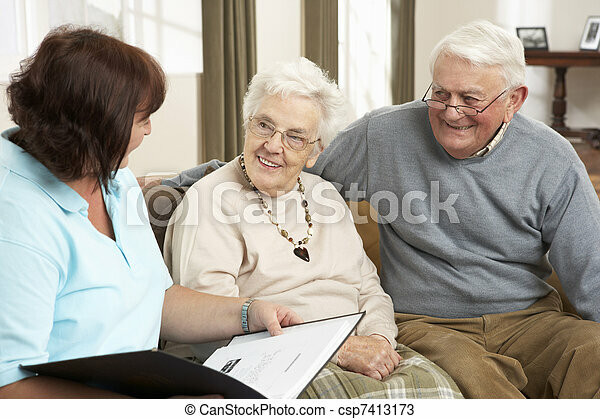 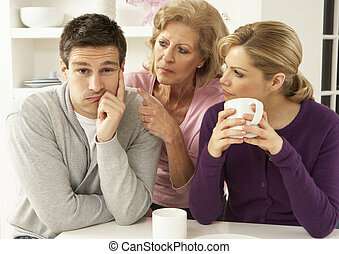 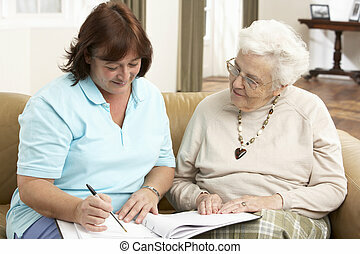 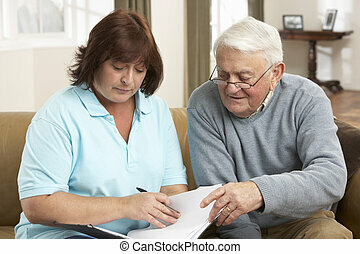 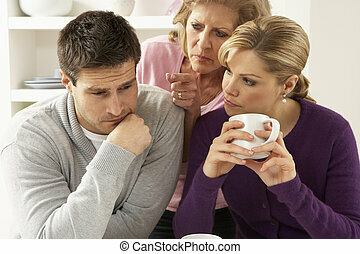 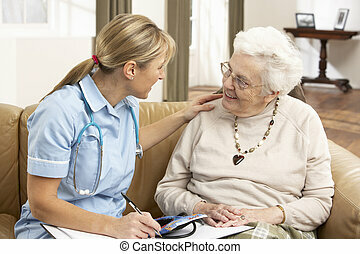 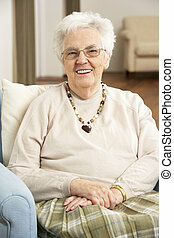 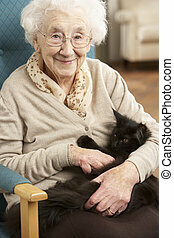 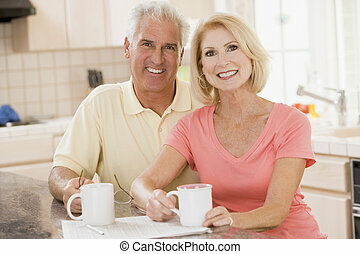 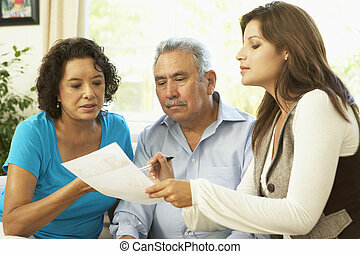 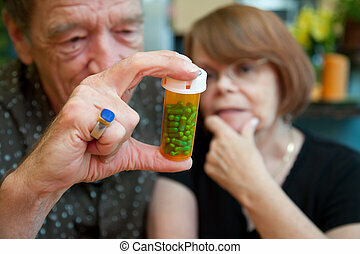 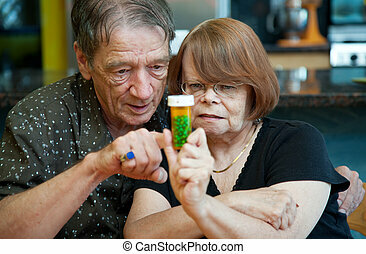 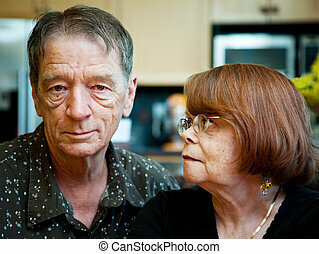 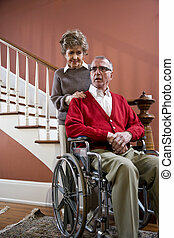 Senior couple in discussion with health visitor at home. 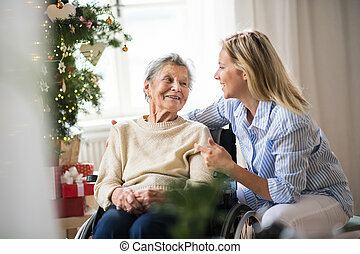 A senior woman in wheelchair with a health visitor at home at Christmas time, talking. 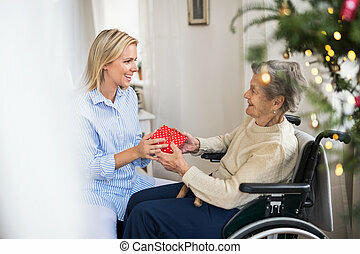 A health visitor and a senior woman in wheelchair with a present at home at Christmas time. 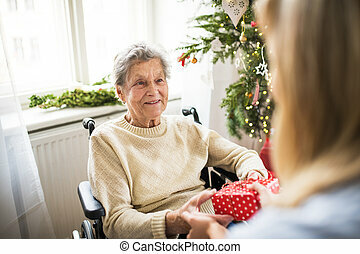 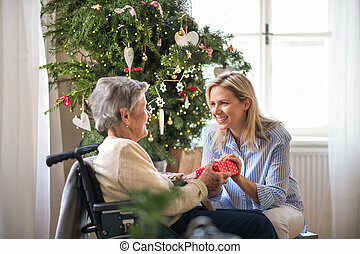 An unrecognizable health visitor and a senior woman in wheelchair with a present at home at Christmas time.